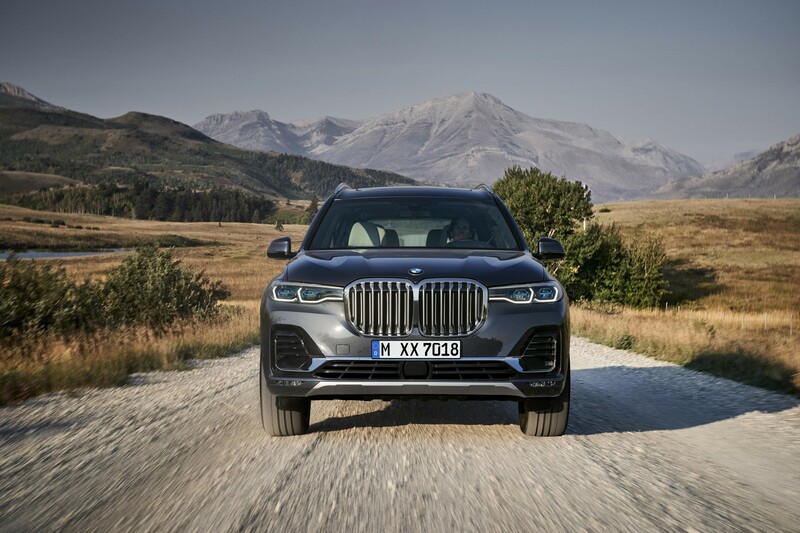 The seven-seat BMW X7 large SUV will go on sale in April, priced from £72,155. 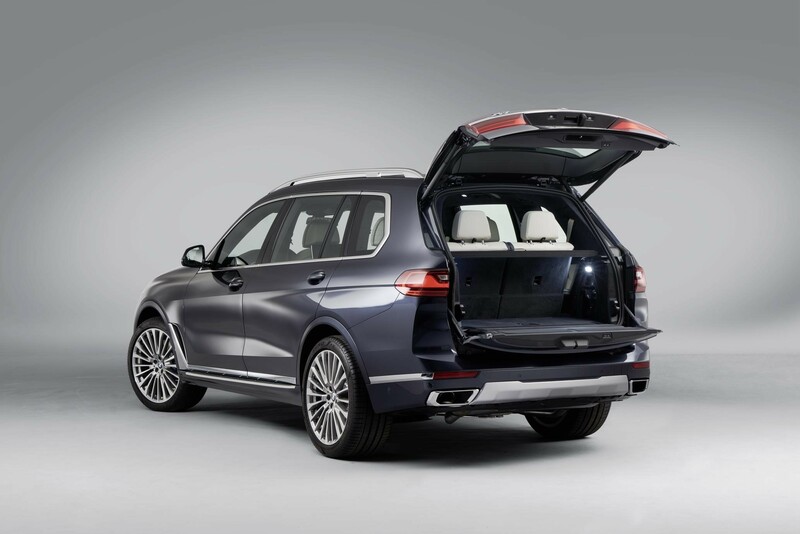 Sitting above the X5 in the range, the X7 features seating for seven adults. It can also be configured with three rows of two seats. 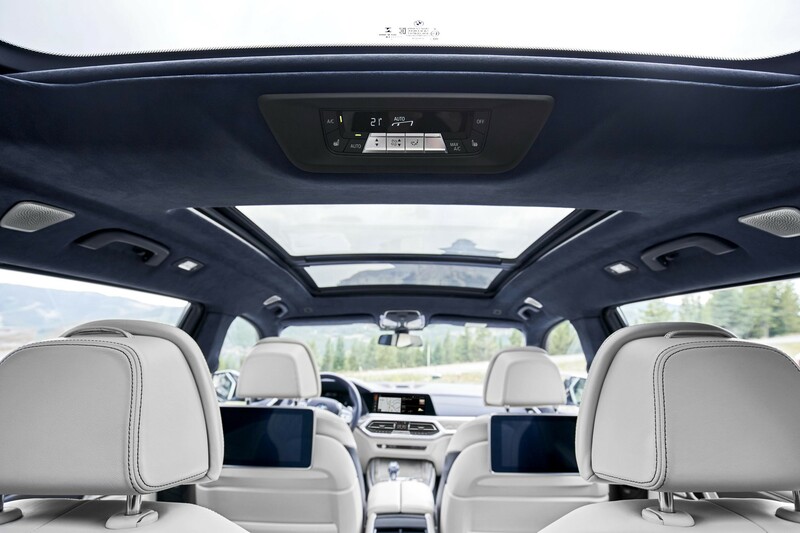 The BMW X7 features an electrically-operated panoramic glass roof as standard. The front, central and rear glass elements all have an electrically sliding headliner activated from a control panel in the front section of the roof. The Ambient Air package that infuses the interior with eight individually selectable scents is optional as is a centre console cupholder that can cool or warm as required. Wireless mobile phone charging in the tray ahead of the cupholders is also standard. 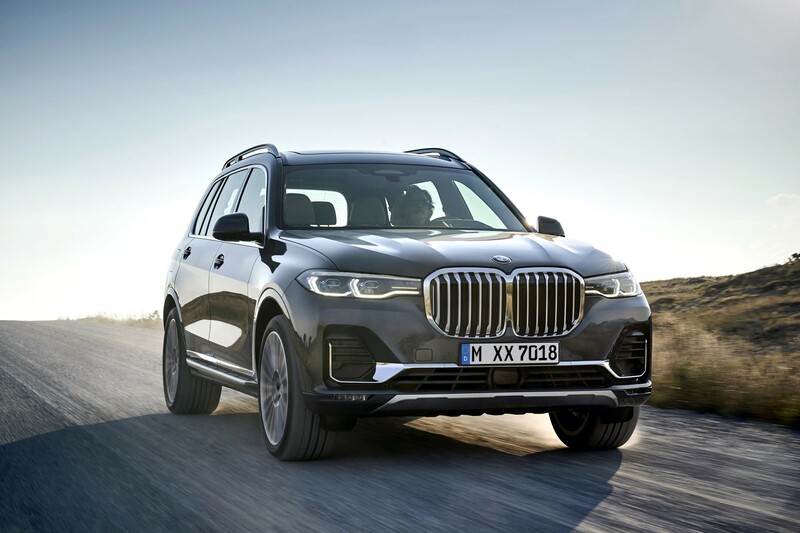 The engine line-up includes a newly developed a six-cylinder in-line petrol unit for the BMW X7 xDrive40i and a pair of six-cylinder in-line diesels to power the BMW X7 xDrive30d and BMW X7 M50d M Performance models. 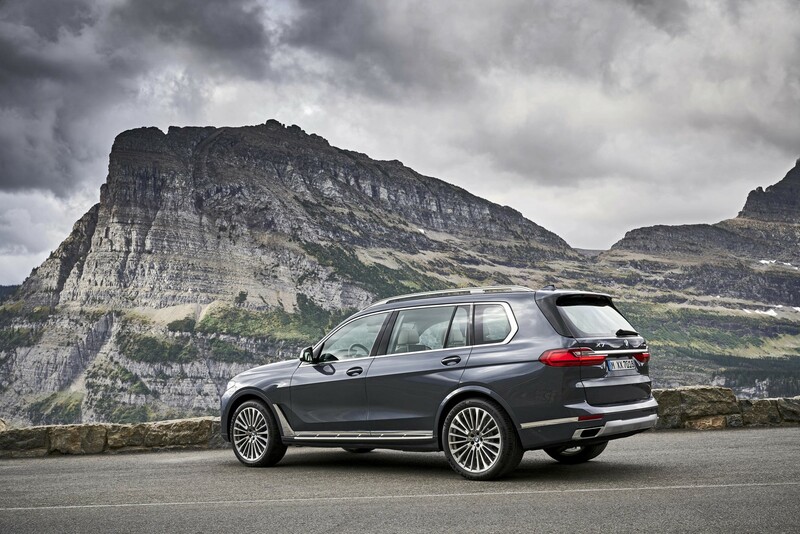 All models get an eight speed automatic gearbox and all-wheel-drive. The 30d is the most efficient with 171g/km of CO2 and 43.5mpg. Ride comfort is enhanced by air suspension with standard-fit automatic self-levelling. At higher speeds the car can lower itself by 20mm to become more aerodynamic. The driver is also able to adjust the body’s ground clearance – for off-road driving, for example – by pushing a button in the cockpit to raise it in two stages up to 40mm above the standard setting. Another button in the luggage compartment activates a loading mode that lowers the car by 40mm. 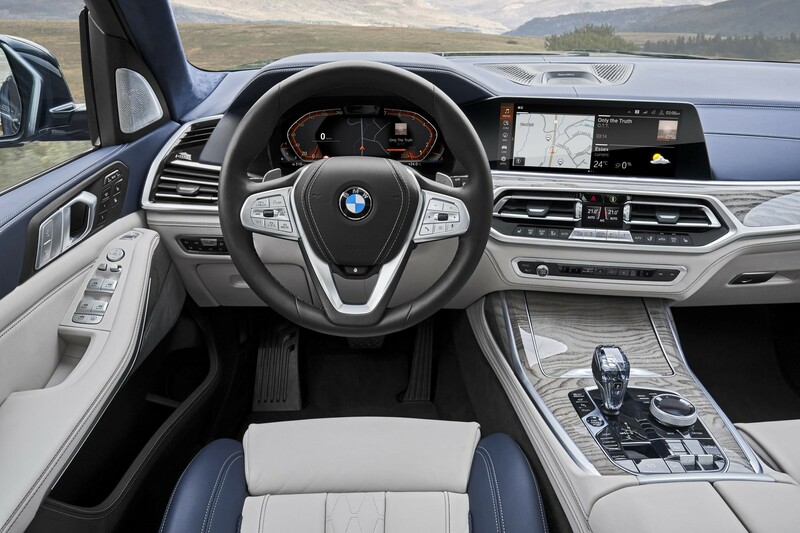 Highlights include BMW connected navigation, a digital NFC key and 360-degree parking camera. Although it’s, in my opinion, one of the most vulgar motor vehicles ever produced it will be great for taking the kids to and from school, can’t wait to be held up by a few of them outside a variety of educational establishments.